The first Monday in September finds many of us at picnics, parades, parties and sports events as we celebrate Labor Day, which has become a last-blast-of-summer tradition. Many businesses are closed in acknowledgement of this holiday that came about as a tribute to American workers, their achievements and contributions. Labor Day originated in the late 1800s at the peak of the Industrial Revolution in the United States. The average American worker put in 12-hour days, seven days a week, to earn a basic living. Many children also worked in mills, factories and even mines. No matter the worker’s age, many were faced with unsafe and unhealthy conditions. Workers throughout the US eventually began to protest dangerous conditions and poor wages. One of those protests—now looked to as the first Labor Day parade—took place on September 5, 1882, when 10,000 workers took time off without pay to march from City Hall to Union Square in New York City. The call for a worker’s holiday became widespread and many states passed legislation that made such a day official; Labor Day became a federal holiday in 1894. The 28 million small businesses in America account for 54% of all U.S. sales. Small businesses provide 55% of all jobs and 66% of all net new jobs since the 1970s. The 600,000+ franchised small businesses in the U.S. account for 40% of all retail sales and provide jobs for 8 million people. The small business sector in America occupies 30-50% of all commercial space, an estimated 20-34 billion square feet. The number of small businesses in the United States has increased 49% since 1982. Since 1990, as big business eliminated 4 million jobs, small business added 8 million new jobs, with the rate for small business failures declining. We especially salute those innovative entrepreneurs and small businesses that make up the growing industry surrounding industrial hemp. 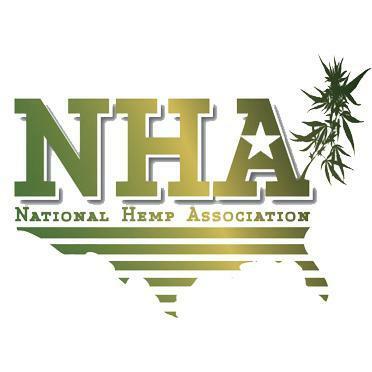 These include hemp extractors, processors, product manufacturers, wholesalers, retailers and hemp farmers. We are honored to be part of such a vibrant community! Our own beautiful state of Colorado leads the nation in hemp production. According to the Colorado Department of Agriculture there are currently over 360 active registered land areas. The total registered outdoor acreage is near 9,000 and the total indoor square footage is close to 1.2 million and growing. Whatever your holiday plans, consider giving your celebration an interesting twist by adding some hemp foods to your picnic or pour a glass of our hemp tea over ice for a refreshing end-of-summer drink. We wish all our readers a fun and safe Labor Day! Hi I am so happy I found your web site, I really found you by accident, while I was researching on Yahoo for something else, Anyways I am here now and would just like to say kudos for a remarkable post and a all round interesting blog (I also love the theme/design), I don’t have time to read it all at the minute but I have book-marked it and also included your RSS feeds, so when I have time I will be back to read much more, Please do keep up the superb job.